I was on my way home from work yesterday morning and stopped by a local wildflower meadow. 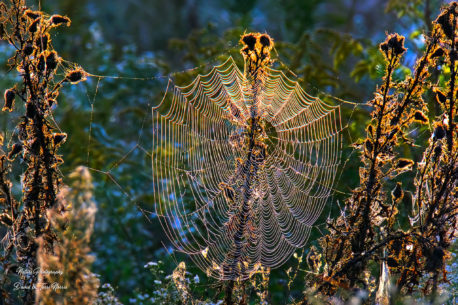 The dew-covered webs were backlit by the rising sun....what a beautiful sight! Shot with the Fuji X-T3 and the XF 100-400.